Office Space - Pinchbeck, Lincolnshire. This modern, flexible serviced office and industrial unit provides quality workspaces, along with workshops with excellent access. 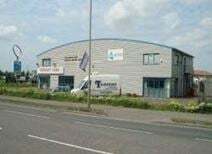 The site is easily accessible at the heart of a popular industrial estate, and is surrounded by various well known businesses.